On Thursday the 14th of March, the first edition of the event “Industrial Reality” took place in The Gallery Enschede (University of Twente). 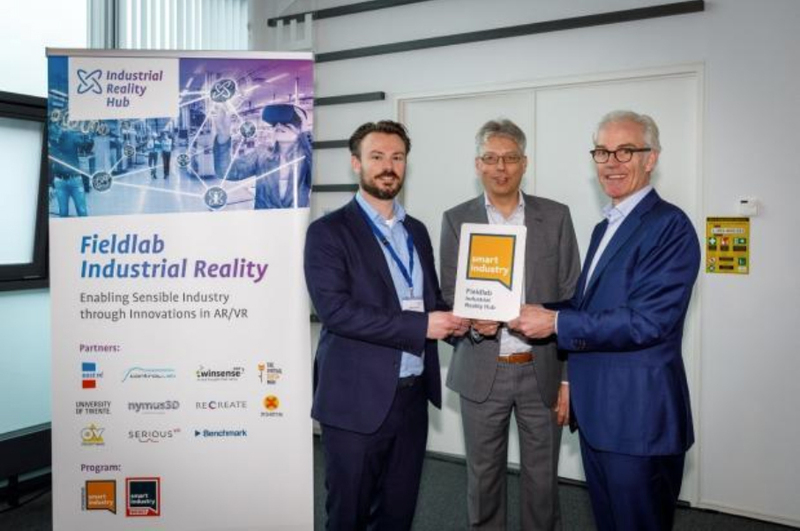 Under the watchful eyes of more than 150 participants, the Industrial Reality Hub was officially recognized as Fieldlab. The assignment took place in an interactive VR session. The aim of the event was to make the various competencies and goals of the IR hub public. During the launch event, attendees learned more about AR/VR applications and capabilities. After the lively discussion ended, the panel team was encouraged to put on a VR headset. The conversation then continued in a virtual environment. The hub partners were introduced by means of a 360-degree tour along the hub partners and their locations. Four pieces of the puzzle in the colours of the Smart Industry program, symbolizing the invited table-mates, hovered in the air until at some point in a virtual way they united; Industrial Reality Hub is now officially a Fieldlab. An important part of the program are the workshops. Visitors to the event were able to register for three different sessions. During the New Business Models session, SeriousVR and The Virtual Dutch Men discussed what new business models are related to AR / VR. 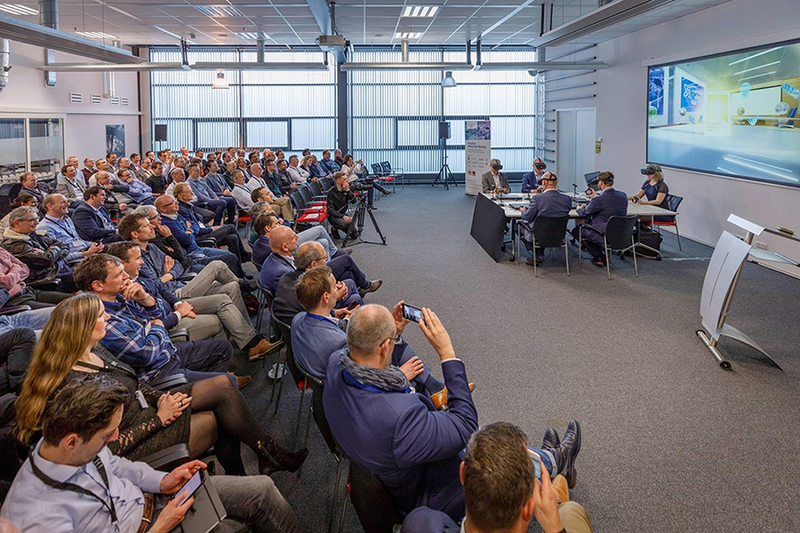 At the Virtual Industry meeting, Controllab, Twinsense360, Nymus360 and the University of Twente discussed AR/VR’s various capabilities in the field of industrial manufacturing and development. In the workshop “Future Skills”, companies Xsens, Recreate and OVSoftware set out some AR/VR applications that could be used to train, support and train employees. The Industrial Reality Hub also presents itself internationally at the Hanover Fair at the Holland High Tech booth in Hall 8.